After celebrating 30 years in Australia in 2011, Mitsubishi Motors Australia Limited (MMAL) ended the year with total annual sales of 61,108, a strong result giving MMAL a healthy 6.1 per cent total market share. MMAL achieved its highest total SUV figures as a full importer, reaching 23,287 units across Outlander, Challenger, Pajero and ASX. This notable result is a considerable 16 per cent increase on 2010’s figure, highlighting MMAL’s strength in the SUV segment. It proved to be the best ever annual result for Challenger with sales of 2,406, a 9.6 per cent increase over 2010, in a SUV Medium segment that declined by four per cent. Triton continued to be a standout performer for Mitsubishi with the two-wheel drive model recording sales of 479 in December taking the year’s total to 5,893 units. The four-wheel drive Triton retained its popularity, registering annual sales of 11,297 an impressive 10.4 per cent increase over 2010 figures, in the competitive 4×4 segment. MMAL president and CEO, Genichiro Nishina, said despite a difficult year in the automotive market, MMAL ended the year on a positive note. “2011 proved to be a challenging year especially with the devastating earthquake and tsunami that hit Japan in March, followed by the monsoonal floods in Thailand in November and December. Despite this, MMAL’s commitment to delivering highly-equipped, value-packed vehicles to the Australian market never wavered resulting in strong sales for the year,” Nishina said. Other highlights for MMAL in 2011 included the public launch of the i-MiEV electric vehicle, and a complete update to the Triton, Challenger, Lancer, Pajero and ASXproduct ranges. In addition, Mitsubishi Motors’ global future was previewed with the unveiling of the all-new Mirage and the PX-MiEV II concept at the Tokyo Motor Show. Mitsubishi Motors Australia Limited (MMAL) welcomes back the PajeroPlatinum Edition. With a limited release of 2000 units, the Pajero Platinum is based on the 2012 model year GLX with premium styling and specification upgrades. The Pajero Platinum receives stylish exterior updates including privacy glass, chrome exterior door handles and door mirrors, integrated side steps, fog lamps, chrome radiator grille and special edition Platinum badge. To increase functionality within the cabin, the Pajero Platinum includes Mitsubishi’s Multi Communication System (MMCS) with voice command. Also included are steering wheel controls and a reversing camera to provide greater driver visibility and awareness. The Pajero Platinum also gains dusk sensingheadlamps and rain sensing wipers to boost convenience. Comfort has been increased with the inclusion of leather steering wheel and gear shift, rear-zone air-conditioning, Platinum floor mats and an 850 watt RockfordFosgate 12 speaker premium audio system to provide an enhanced listening experience. MMAL vice-president of Customer and Brand Management, Paul Unerkov, welcomed the Pajero Platinum back to the Mitsubishi range. “The Pajero Platinum is always popular with four-wheel drive enthusiasts looking for solid on and off-road power combined with stylish and functional extras,” Unerkovsaid. The Pajero Platinum offers first-class safety with Mitsubishi’s Reinforced Impact Safety Evolution body system, ABS braking, Electronic Stability Control and driver and passenger SRS airbags along with Super Select II which offers the drive a range of flexible on and off-road driving modes. Available in Warm White, Cool Silver, Black, Graphite, Ironbark and Champagne, the Pajero Platinum is an impressive addition to the legendary Pajero range and is available with a 3.2-litre diesel engine coupled with an automatic transmission priced at a recommended retail price of $59,990. Note, prices do not include dealer delivery, insurance or on road costs. 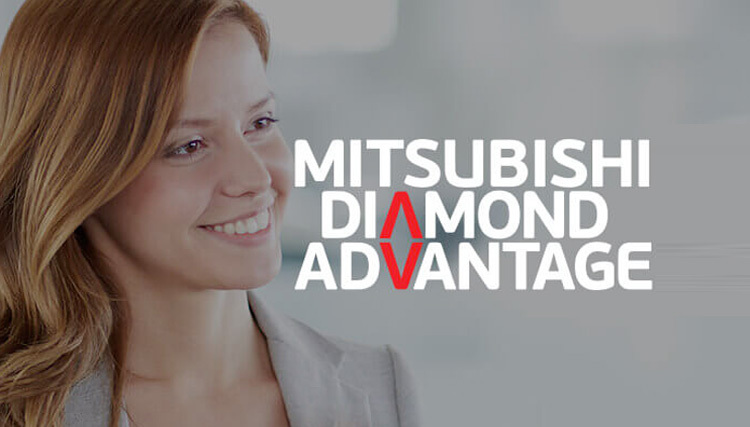 Mitsubishi offers a 10 year / 160,000 km non-transferrable drive-train warranty, five year / 130,000 km new vehicle warranty, five year / 130,000km Roadside Assist and Capped Price Servicing for the first four years or 60,000 km of ownership* on all new vehicles. Mitsubishi Motors Australia Limited (MMAL) will add the stylish, limited edition Lancer Platinum to the popular Lancer range in January 2012.Based on the 2012 model year Lancer ES, the Lancer Platinum includes a host of upgrades to offer extra safety, convenience and style. The Lancer Platinum’s safety has been boosted with the inclusion of a reversing camera and reversing sensors, giving the driver with greater visibility and awareness. When reverse gear is engaged, the camera monitor appears automatically in the electro-chromatic mirror. Inside the Lancer Platinum, a number of luxury touches have been added including leather seat trim, heated front seats and powered driver’s seat with slide, recline and height adjustment functions. The deluxe leather centre console complements the leather-wrapped steering wheel which features audio and phone controls for convenience along with voice activated Bluetooth 2.0. The Lancer’s sleek, sporty lines have been enhanced through the addition of 16-inch alloy wheels, side air dams, chrome muffler tip and a special Platinum badge while the sedan model also receives a rear spoiler. MMAL vice-president of sales, Anthony Casey, said the Lancer Platinum represents exceptional value combining safety, style and convenience. “The Lancer Platinum Edition builds on the Lancer’s reputation for safety and style to offer customers a vehicle loaded with extra features,” Casey said. The Lancer Platinum boasts the efficient 2.0-litre dual overhead cam MIVEC four-cylinder engine, and is available in both manual and CVT transmissions, and in either the sportback or sedan body styles. Boasting a five-star ANCAP safety rating, the Lancer Platinum features Active Stability Control, dual front, side and curtain and driver’s knee SRS airbags, ABS braking system with Electronic Brake Force Distribution and Mitsubishi’s Reinforced Impact Safety Evolution body system with front crumple zones. The Lancer Platinum will be on sale at a recommended retail price of $21,690 for the manual and $24,190 for the automatic. Note prices do not include dealer delivery, insurance or on road costs. The Lancer Platinum Edition is available in a range of colours including White Solid, Cool Silver, Black, Titanium, Warm Silver, Red, Lightning Blue and spectacular Orange Burst. With numerous style, safety and convenience upgrades, Mitsubishi Motors Australia Limited’s (MMAL) ASX two-wheel drive Platinum Edition is packed with extra features at no extra cost, making the already popular city-sized SUV even more appealing. The interior of the ASX Platinum has been upgraded to include leather seat trim, heated front seats and powered driver’s seat with slide, recline and height adjustment functions. Convenience has been increased through the inclusion of steering wheel mounted audio and Bluetooth 2.0 controls. The addition of a reversing camera and reversing sensors in the Platinum ASXboosts driver visibility and awareness. The camera monitor appears in the electro-chromatic rear-view mirror automatically when reverse gear is engaged to give the driver a view of the vehicle’s reversing path. The exterior of the ASX Platinum has been updated through the addition of chrome muffler tip, front fog lamps and a special Platinum badge on the tailgate. MMAL vice-president of Customer and Brand Management, Paul Unerkov, welcomed the ASX Platinum to the Mitsubishi range saying he expects the feature-packed edition to be popular at Mitsubishi dealerships across Australia. “The ASX two-wheel drive is already a well-appointed vehicle and these additional features highlight the superior value of the Platinum variant,” Unerkov said. The ASX Platinum is powered by the efficient 2.0-litre MIVEC four-cylinder engine, and is available as a two-wheel drive with manual or CVT transmission. ASX Platinum features Active Stability Control, dual front, side and curtain and driver’s knee SRS airbags, ABS braking system with Electronic Brake Force Distribution and Mitsubishi’s Reinforced Impact Safety Evolution body system. The two-wheel drive ASX Platinum will be on sale at a recommended retail price of $25,990 for the manual and $28,490 for the automatic. Note, prices do not include dealer delivery, insurance or on road costs. The ASX Platinum Edition is available in White, Cool Silver, Black, Red, Sapphire Blue, Titanium, and Kingfisher Blue. Mitsubishi Motors Australia Limited (MMAL) introduces the Outlander Platinum Edition, offering the quality, safety and versatility the Outlander is renowned for with the addition of numerous interior and exterior upgrades. Joining the Mitsubishi range in January 2012 and with a limited release of 1000 units, the Outlander Platinum is based on the 2012 model year LS Outlander. The Outlander Platinum is available as a two- or four-wheel drive with the choice of manual or CVT transmission (five seat version only). Safety has been improved through the addition of a reversing camera and reversing sensors, giving the driver greater visibility and awareness while reversing. The camera monitor appears in the electro-chromatic rear-view mirror automatically when reverse gear is engaged. The two-wheel drive variant also receives side and curtain airbags (already standard on four-wheel drive). Inside, the Outlander Platinum receives a number of luxury touches including leather seat trim, heated front seats and powered driver’s seat with electric slide, recline and height adjustment functions. The interior styling package adds bright and silver detailing to the door handles, console panel and rear door trim while the addition of Bluetooth 2.0 steering wheel controls enhances user convenience. The Outlander’s exterior has been enhanced through the inclusion of chrome muffler tip, fog lamps and exclusive Platinum badge. MMAL vice-president of Corporate Strategy, Paul Stevenson, welcomed the Outlander Platinum to the Mitsubishi range. “The Outlander is already popular for its styling, flexibility and safety, and this Platinum edition offers customers an even more value-packed vehicle,” Stevenson said. Outlander Platinum includes a range of safety features including Active Stability Control, dual front, side and curtain SRS airbags, ABS braking system with Electronic Brake Force Distribution and Mitsubishi’s Reinforced Impact Safety Evolution body system. Note, prices do not include dealer delivery, insurance or on road costs. The Outlander Platinum Edition is available in Red, Cool Silver, Ironbark, Sapphire Blue, Black, Effect Grey and White.